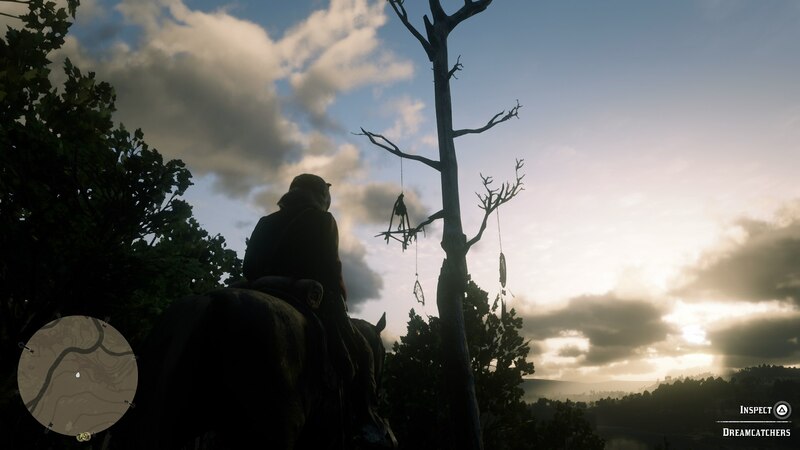 There's 20 total Dreamcatchers in the world of Red Dead Redemption 2, and this guide will show you how to find them all. 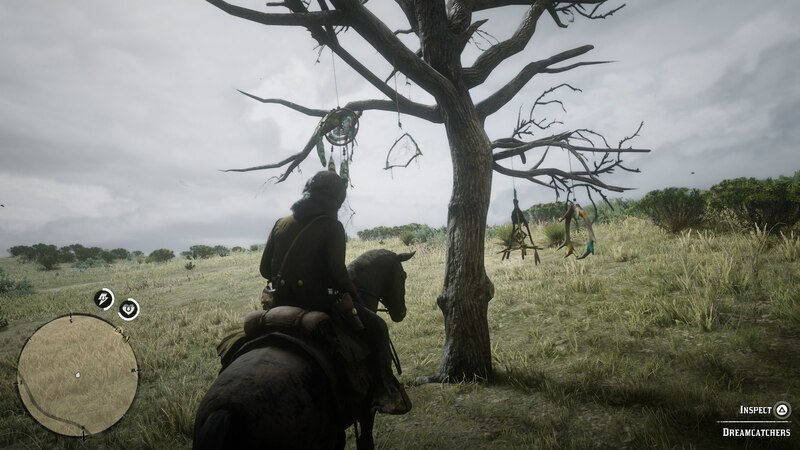 If you want to complete one particular side mission in Red Dead Redemption 2, then you're going to need to go about tracking down 20 total Dreamcatchers around the wilderness. 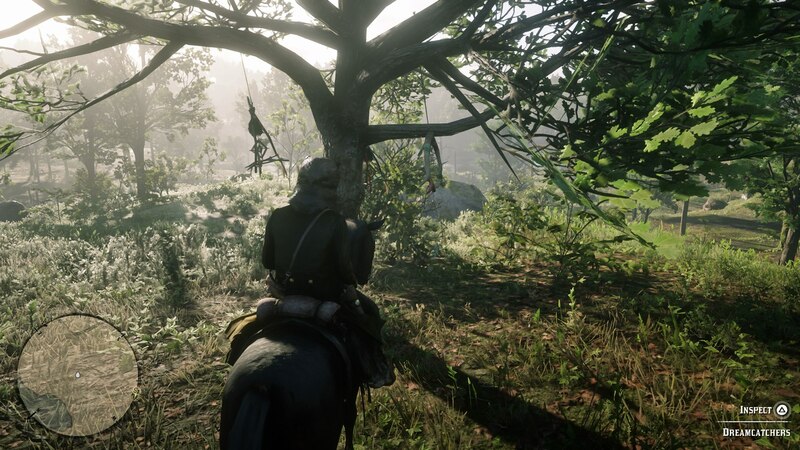 In this Red Dead Redemption 2 Dreamcatchers guide, we'll be providing you with a complete list of all the Red Dead Redemption 2 Dreamcatcher locations within the huge game. 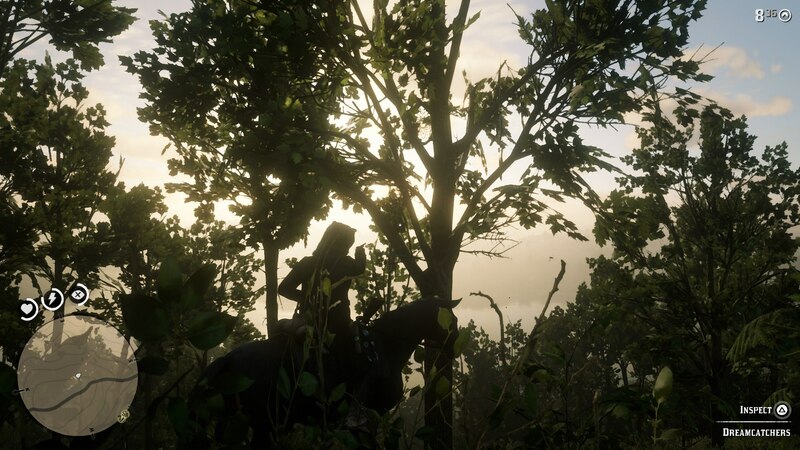 But if you need any other information relating to Rockstar’s massive wild west prequel, you can head over to our Red Dead Redemption 2 guides hub. 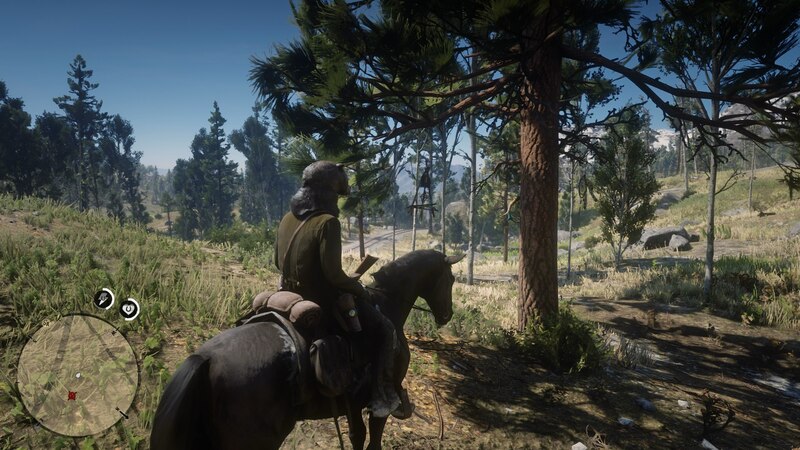 Here you can find our complete beginner’s guide, list of essential tips and tricks, and much more for the game. 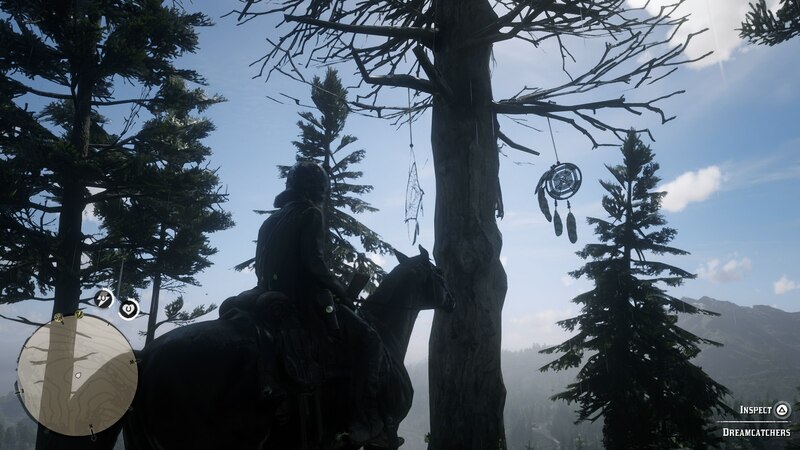 First of all, there isn’t an actual quest line tied to the Dreamcatchers in Red Dead Redemption 2. 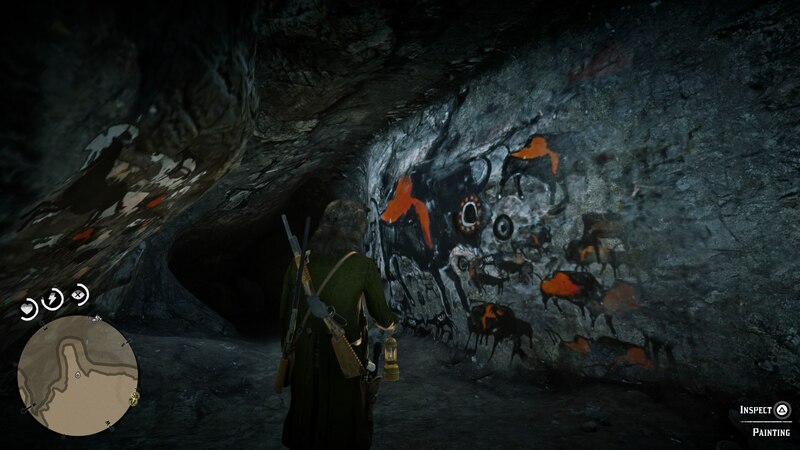 Unlike the rock carvings that are scattered around the map, you aren’t trying to find all of these for a character for a quest, so all you need to do is find any of the 20 total Dreamcatchers, get as close to them as you can, and examine them by holding down Y/Triangle. 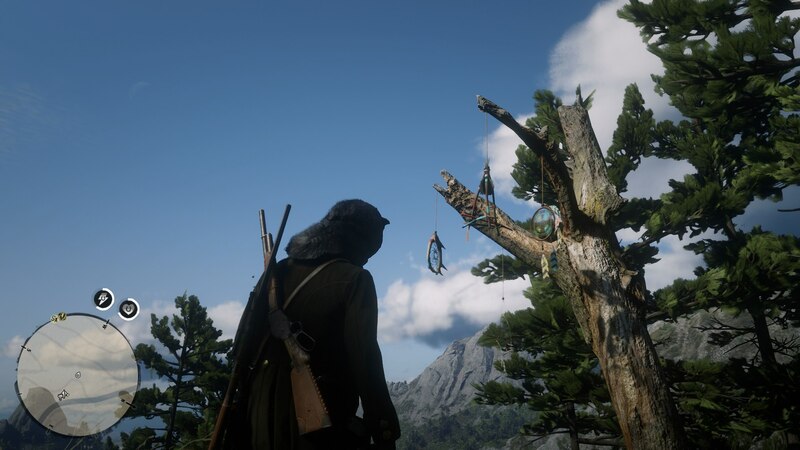 Below, you can find our list of all the Dreamcatchers that we’ve managed to locate so far in our time with Red Dead Redemption 2. 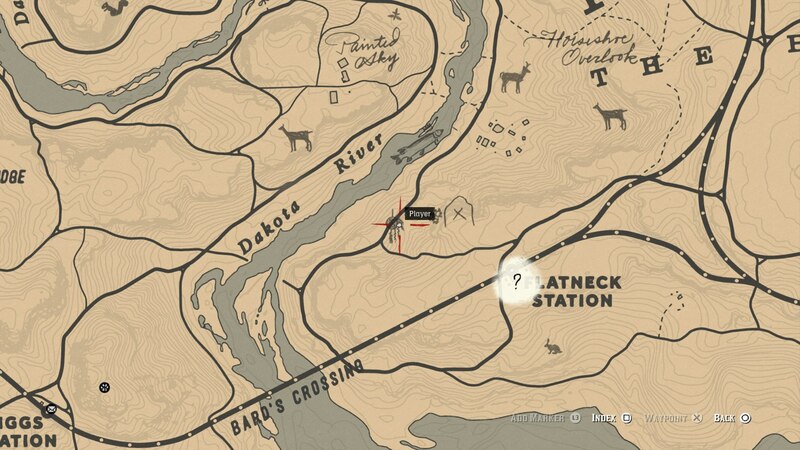 RDR2 Dreamcatcher Location 1 - The first Dreamcatcher we find was on the windy path that goes around The Loft, which is just west of the Roanoke Valley. 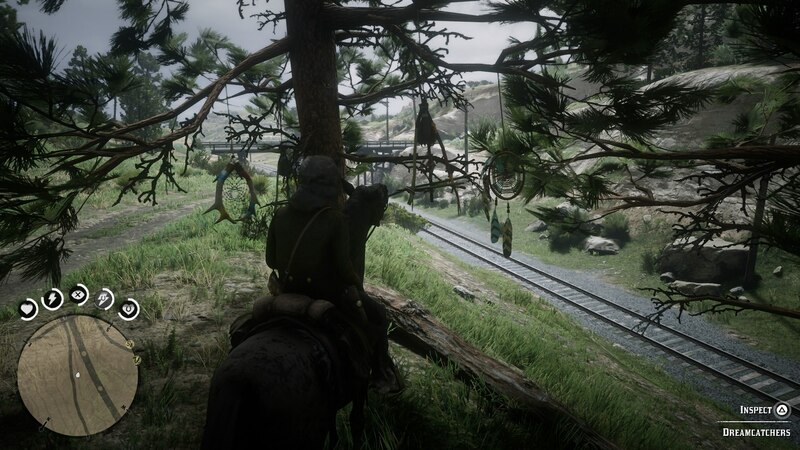 RDR2 Dreamcatcher Location 2 - Directly east of Cotorra Springs, you can find a Dreamcatcher on a tree atop a cliff overlooking the train tracks below. 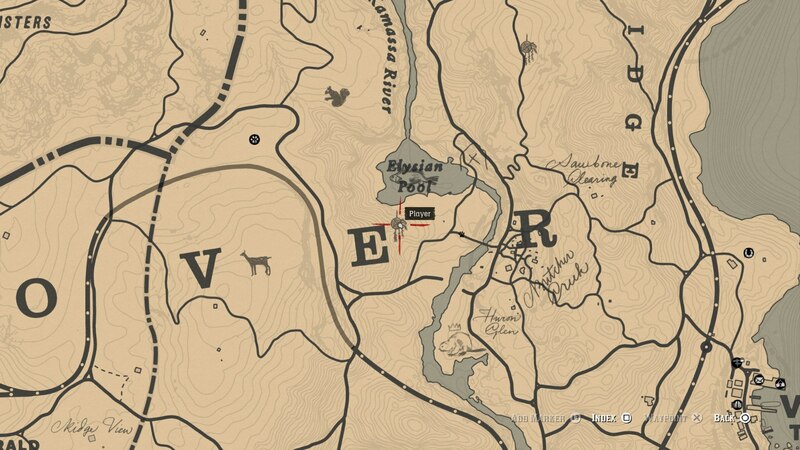 RDR2 Dreamcatcher Location 3 - Just southwest of Widow’s Rock, and north of the Dakota River marker on the map, you can find another Dreamcatcher. 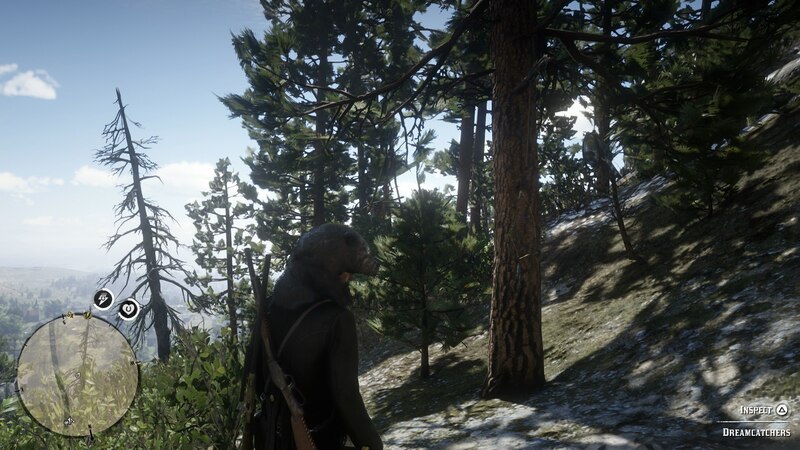 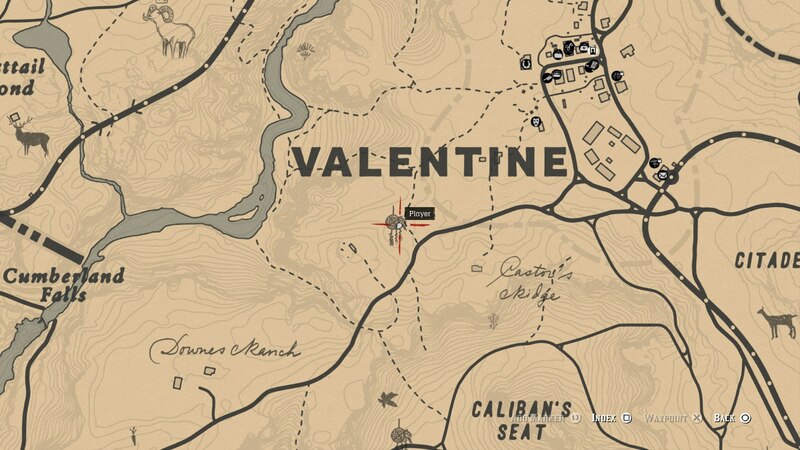 RDR2 Dreamcatcher Location 4 - Northwest of Valentine lies the Grizzlies West, where you can find this next Dreamcatcher hiding in the trees. 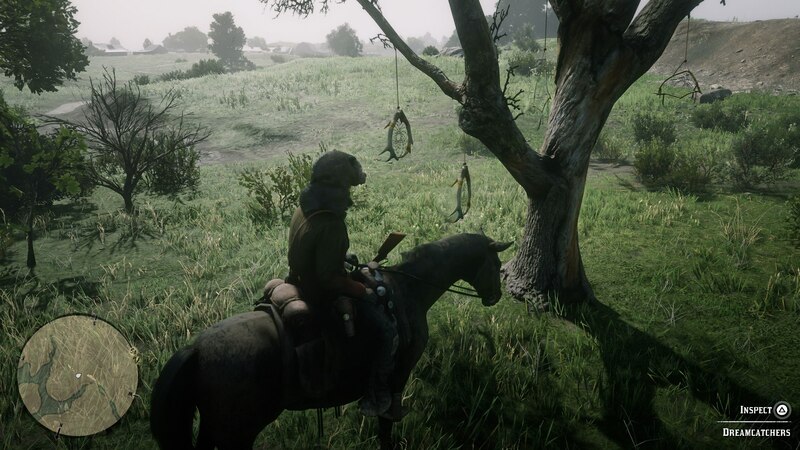 RDR2 Dreamcatcher Location 5 - In between Annesburg and Beaver Hollow (where the Murfree Brood gang are holed up), you can find this Dreamcatcher hanging from a branch over the road. 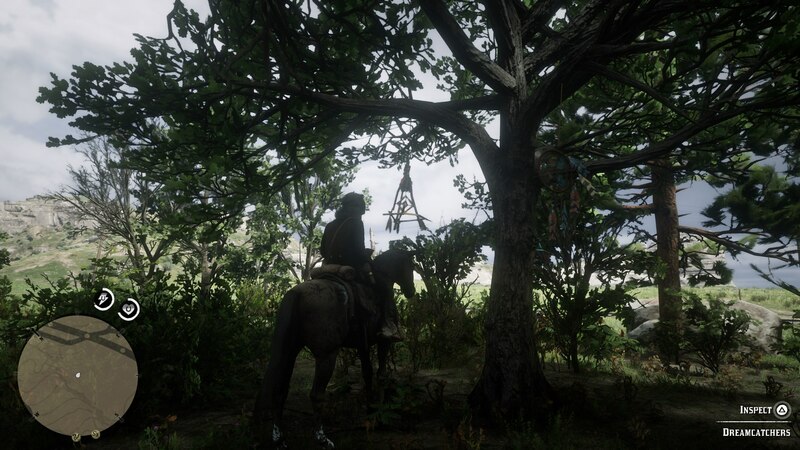 RDR2 Dreamcatcher Location 6 - Just slightly southwest of the previous Dreamcatcher, and a short ways west out of Annesburg, you can find this Dreamcatcher hanging from a tree. 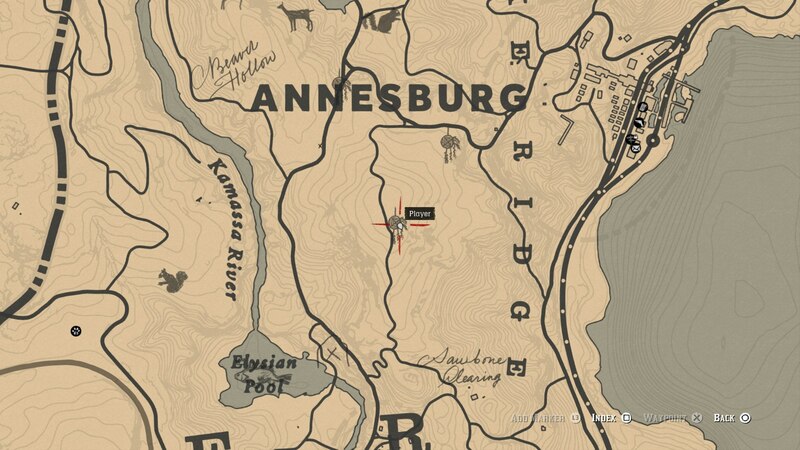 RDR2 Dreamcatcher Location 7 - Northwest of Annesburg, right near Deer Cottage, lies another Dreamcatcher. 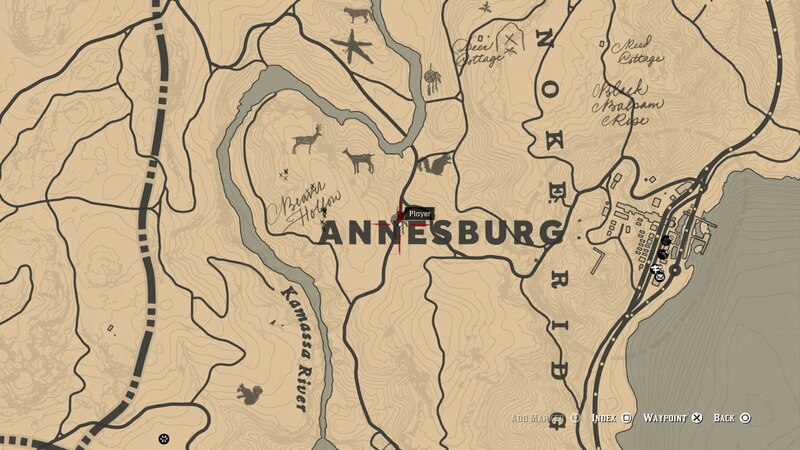 RDR2 Dreamcatcher Location 8 - Southwest of Annesburg, there's a road that runs north to south, that leads to Jawbone Clearing. 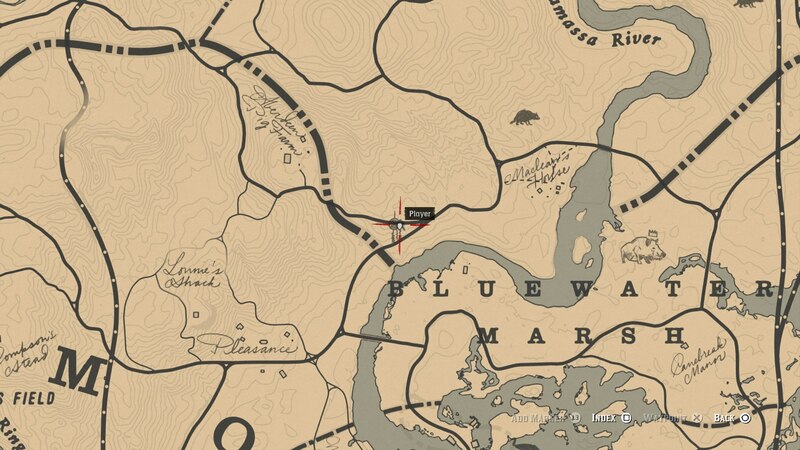 Roughly halfway down this road, you can find the Dreamcatcher on the eastern side of the road. 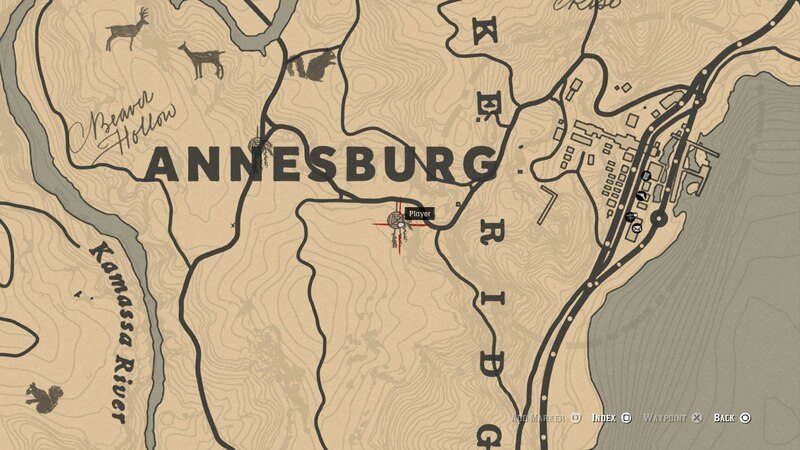 RDR2 Dreamcatcher Location 9 - Directly south of the Elysian Pool in the eastern portion of the New Hanover region, you can find this Dreamcatcher. 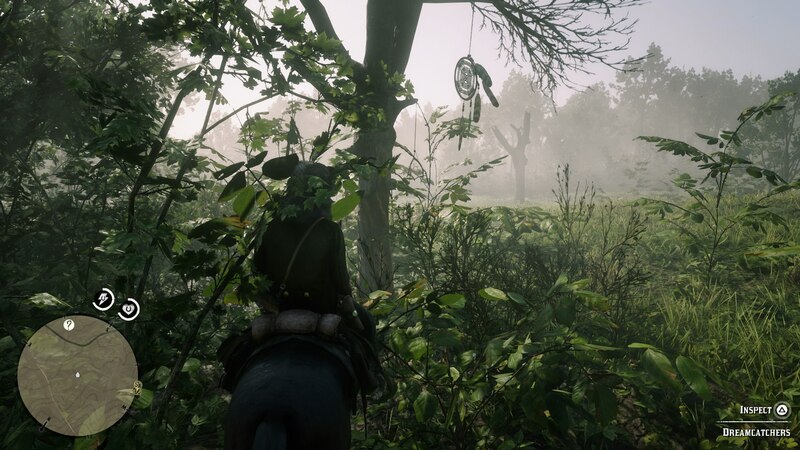 RDR2 Dreamcatcher Location 10 - This Dreamcatcher can be found just northwest of Bluewater Marsh. 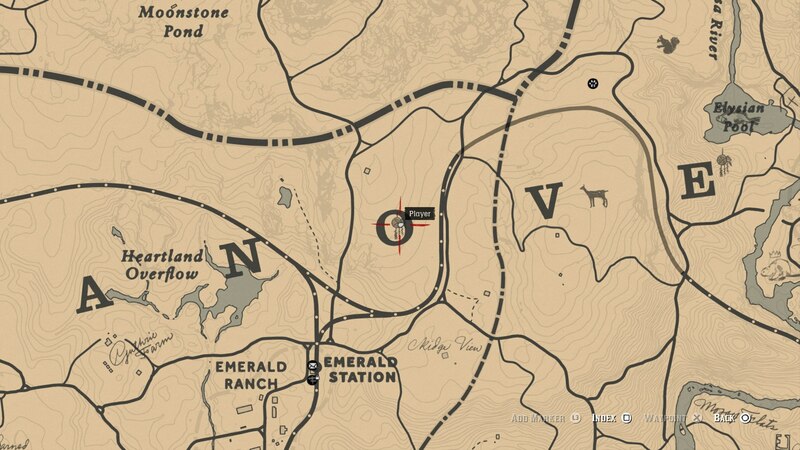 RDR2 Dreamcatcher Location 11 - Kind of in the middle of nowhere a long way south from Emerald Ranch and in the Lemoyne region of Red Dead Redemption 2, you can find this Dreamcatcher just north of Lonnie's Shack. 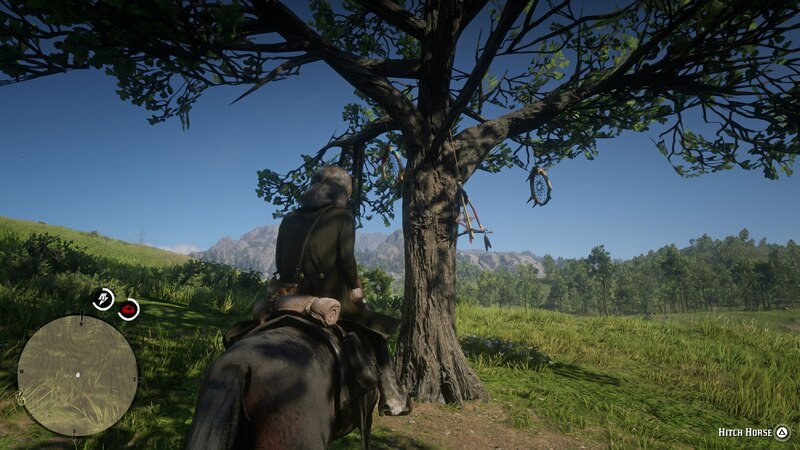 RDR2 Dreamcatcher Location 12 - Directly north of the previous Dreamcatcher location, and just west of Aberdeen's Pig Farm, is a Dreamcatcher, hanging from a lonely tree. 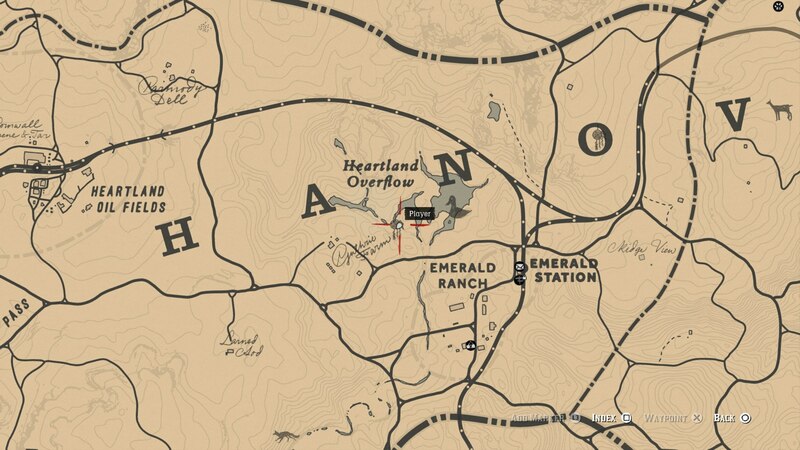 RDR2 Dreamcatcher Location 13 - There's no 'I' in team, but there is a Dreamcatcher in the 'O' of New Hanover on the Red Dead Redemption 2 map. 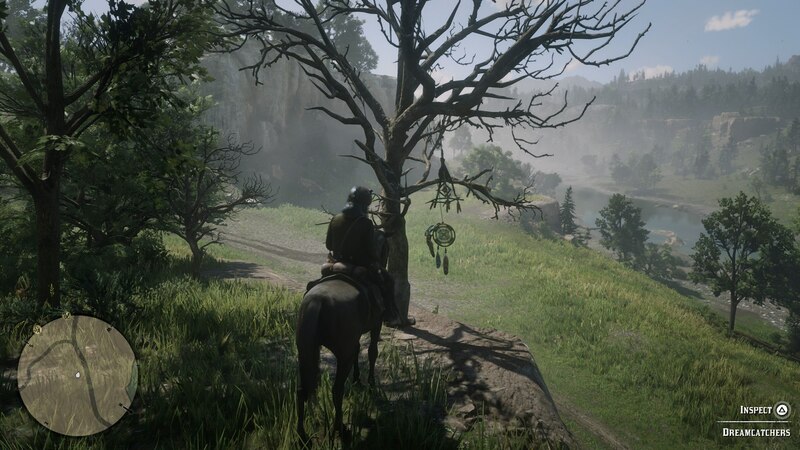 RDR2 Dreamcatcher Location 14 - Just northwest of Emerald Ranch, you can find a Dreamcatcher hanging on a tree by the Heartland Overflow lakes. 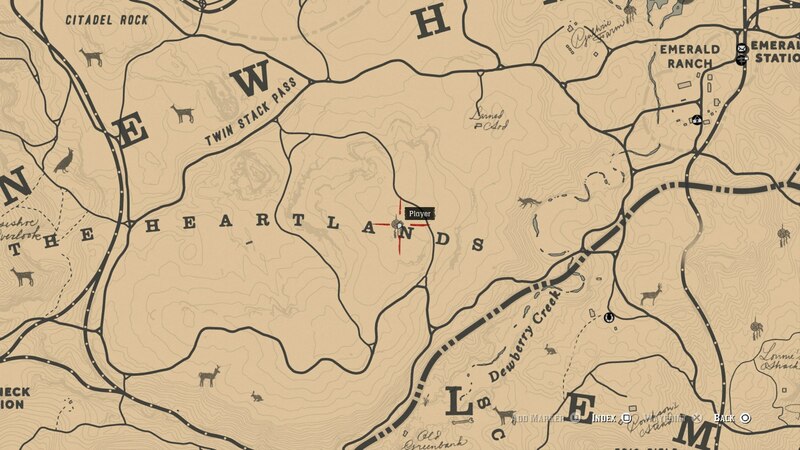 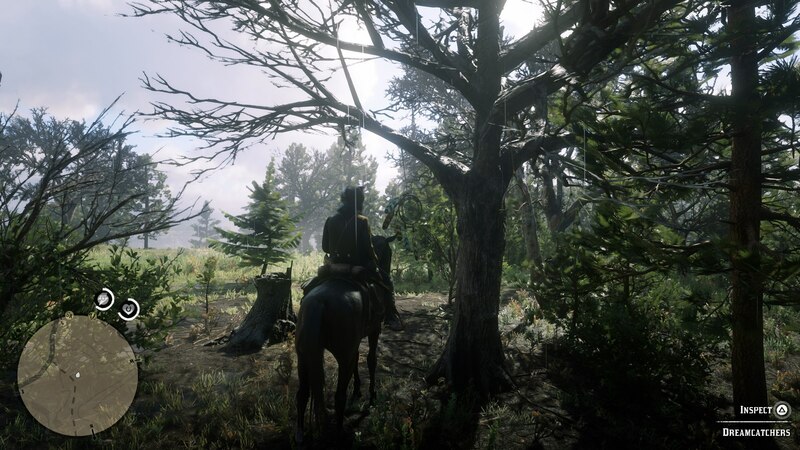 RDR2 Dreamcatcher Location 15 - Next to the 'N' in The Heartlands name marker on the Red Dead Redemption 2 map, you can find the Dreamcatcher hanging from a remote tree. 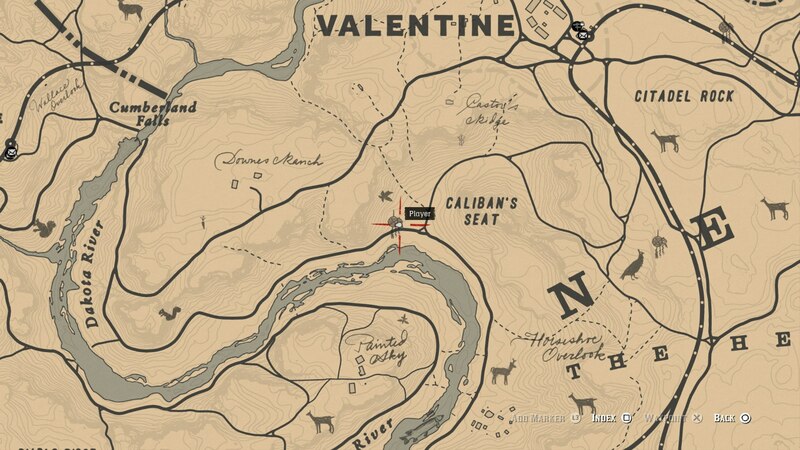 RDR2 Dreamcatcher Location 16 - You can find this just east of Valentine, and north of Citadel Rock. 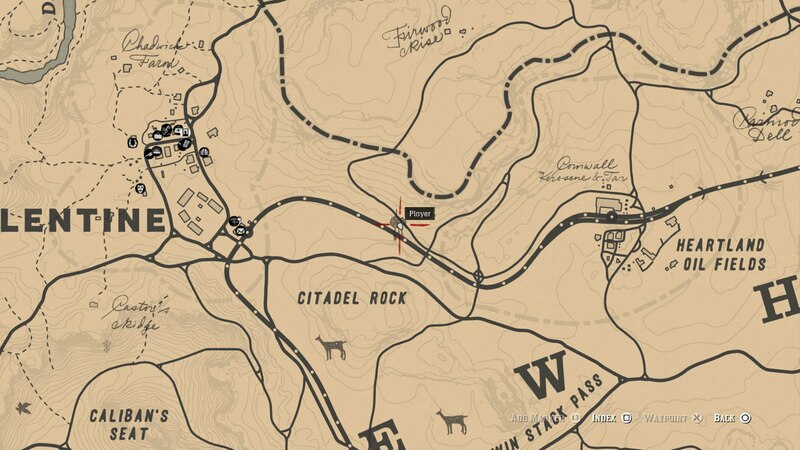 RDR2 Dreamcatcher Location 17 - South of Citadel Rock and southeast from Caliban's Seat, you can find this Dreamcatcher just off the road. 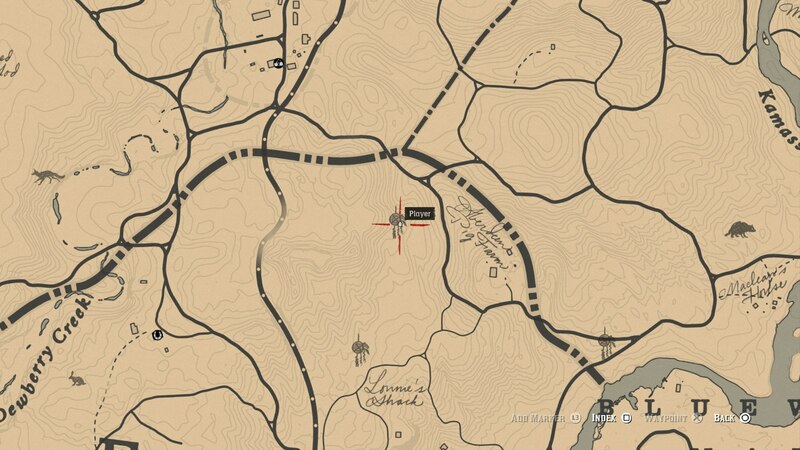 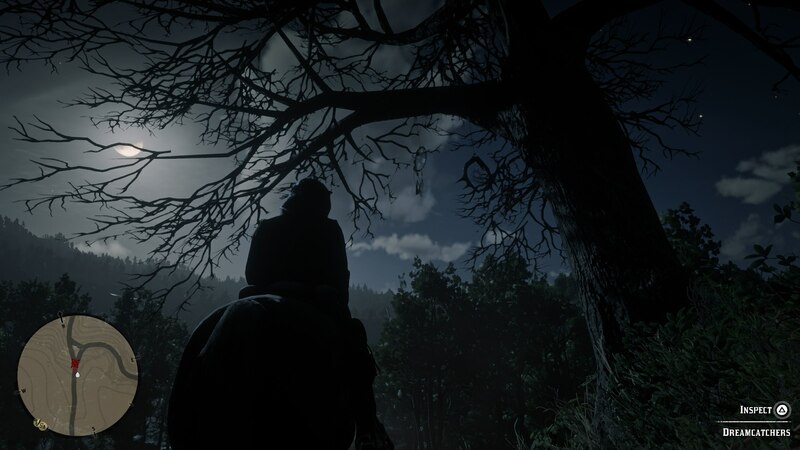 RDR2 Dreamcatcher Location 18 - This Dreamcatcher is just east and slightly north of Flatneck Station, on a tree overlooking the road below. 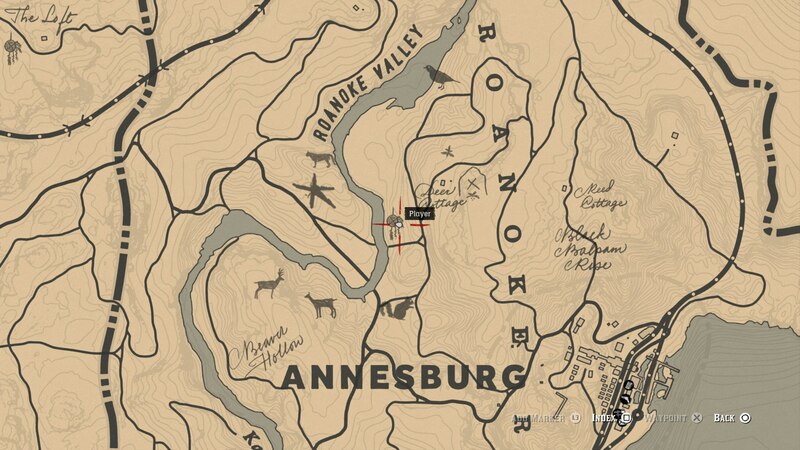 RDR2 Dreamcatcher Location 19 - Directly south of Valentine, and just north of the Dakota River, you can find this Dreamcatcher just north of the road. 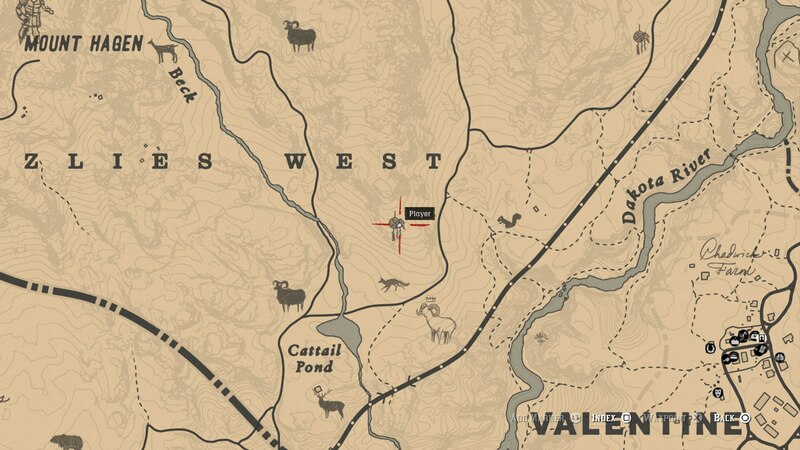 RDR2 Dreamcatcher Location 20 - The final Dreamcatcher is found in the fields southwest of Valentine. 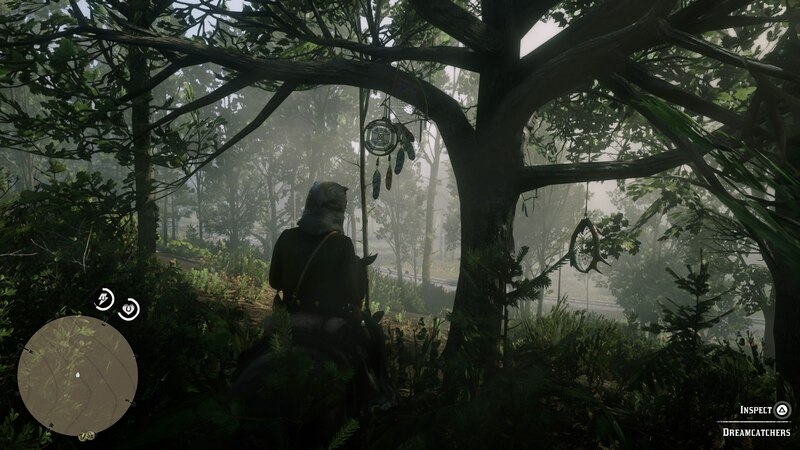 Once you've found all 20 of the Dreamcatchers that we've listed above, you're not too far off from claiming the mysterious reward item for the mission. 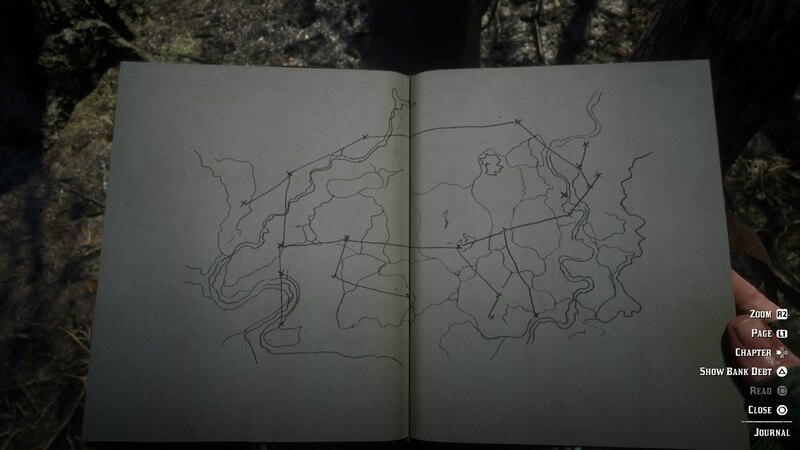 Arthur will sketch the diagram below once you've found all of the Dreamcatchers and examined them. 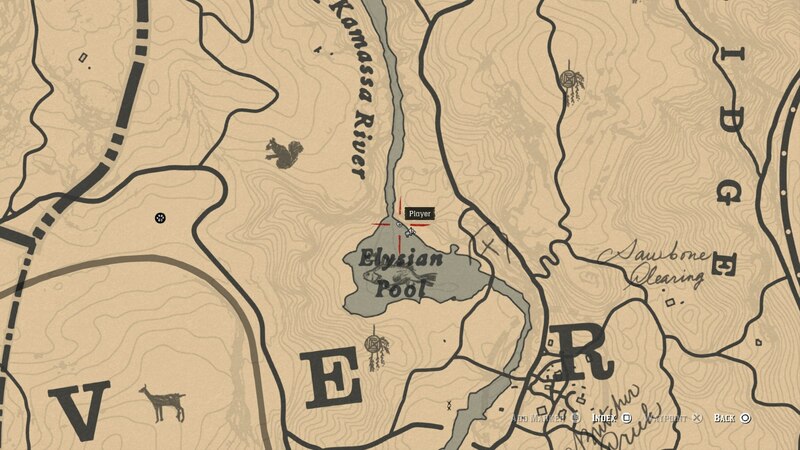 You now need to head to the Elysian Pool, which lies just southwest of Annesburg. 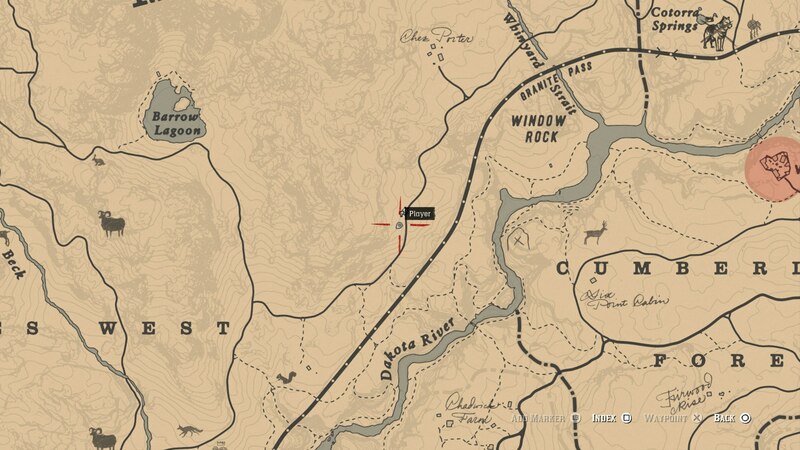 Once here, head to the waterfall at the northern end of the pool, and you can actually walk through the waterfall, entering a hidden cave behind it. 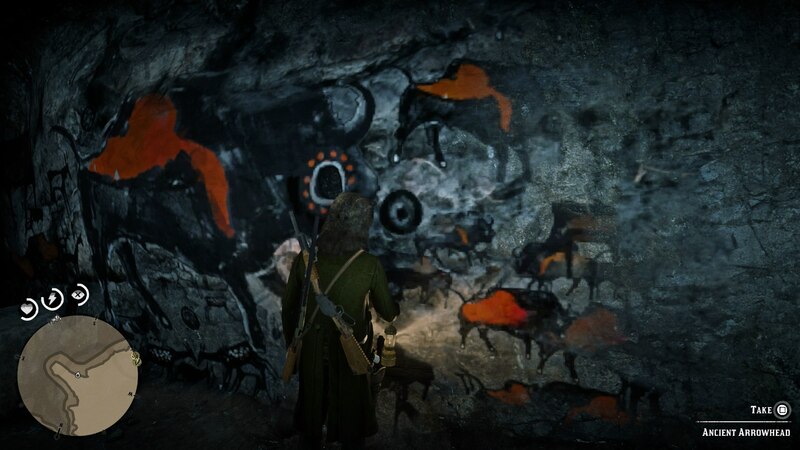 Within the small winding cave, you need to make your way through the passageways, until you come to a wide open clearing. 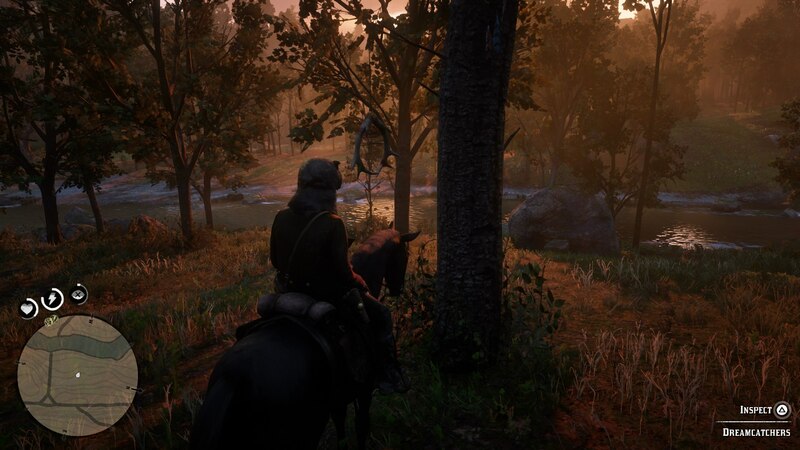 Here, there'll be daylight streaming in from a gap in the rocks directly ahead and above of you. 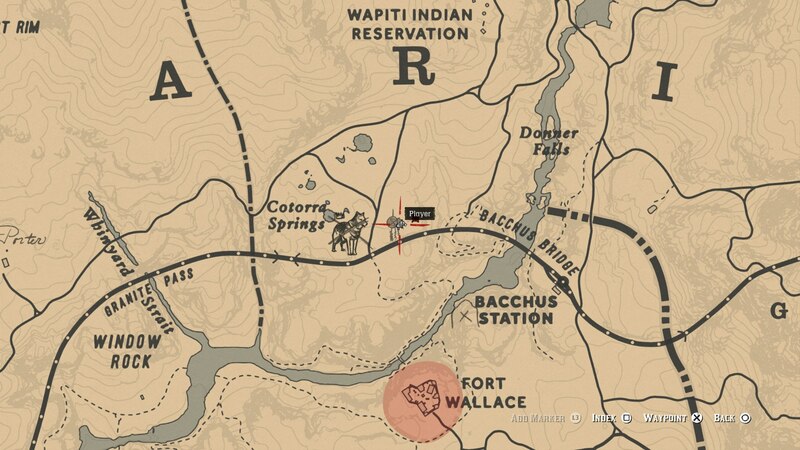 Arthur now needs to make his way to the upper level of the open area, where he can find the painting above on the wall of the cave. 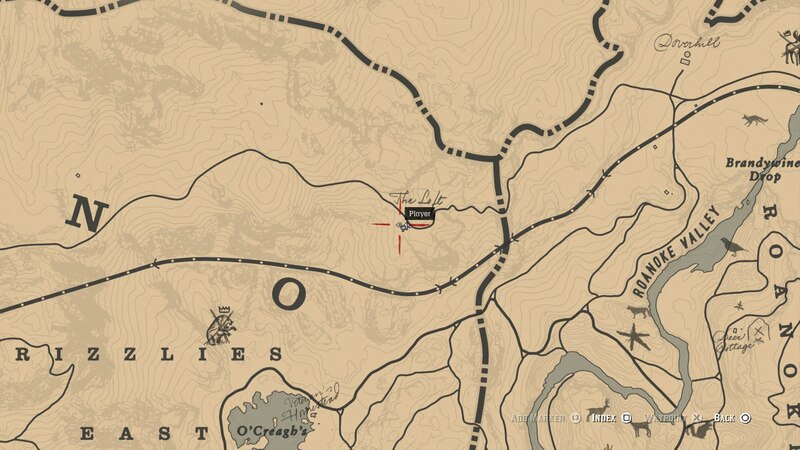 If you firstly examine the painting by holding down Y/Triangle, you can then move closer to the painting, and hold down X/Square to retrieve the Ancient Arrowhead from a hole in the painting. 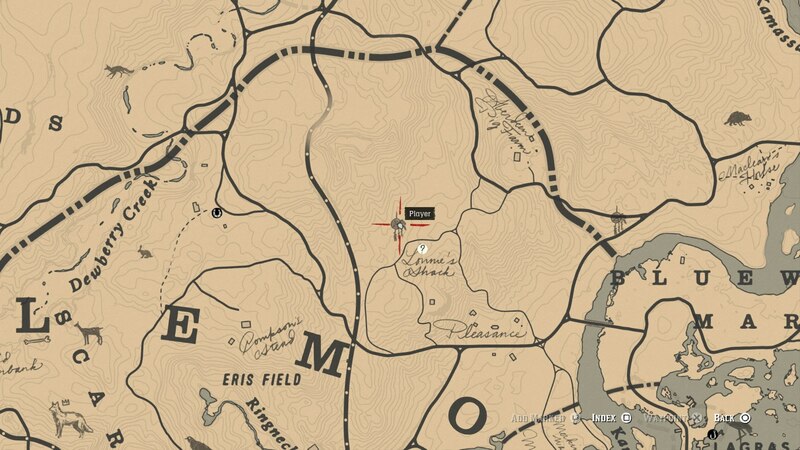 The Ancient Arrowhead is the final reward for obtaining all 20 Dreamcatcher locations in Red Dead Redemption 2. 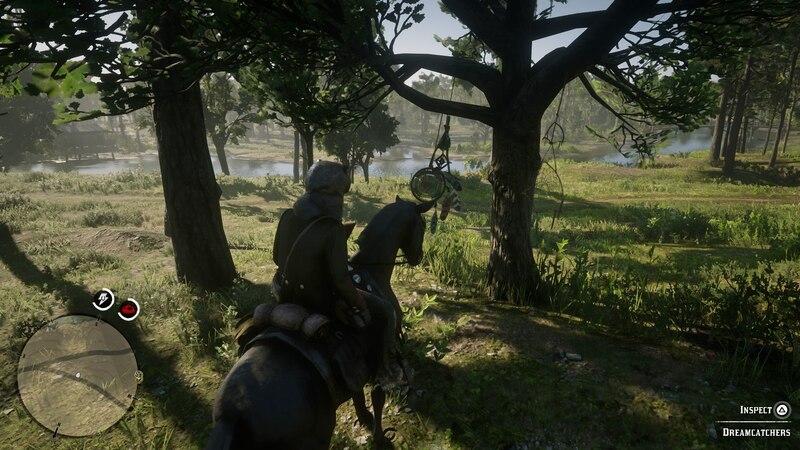 It doesn't immediately tell you what it does however, but the item doubles the length of time that you can hold a drawn bowstring for, before you're forced to release it. 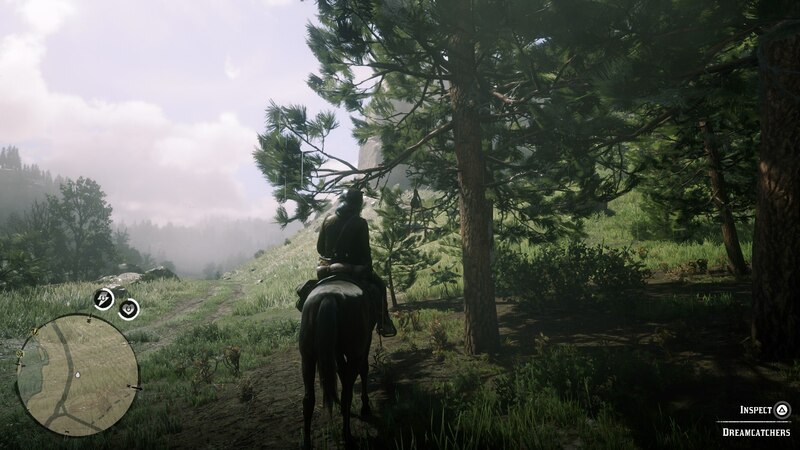 If it’s more Red Dead Redemption 2 guides that you’re after, we’ve got them in spades here at USgamer. 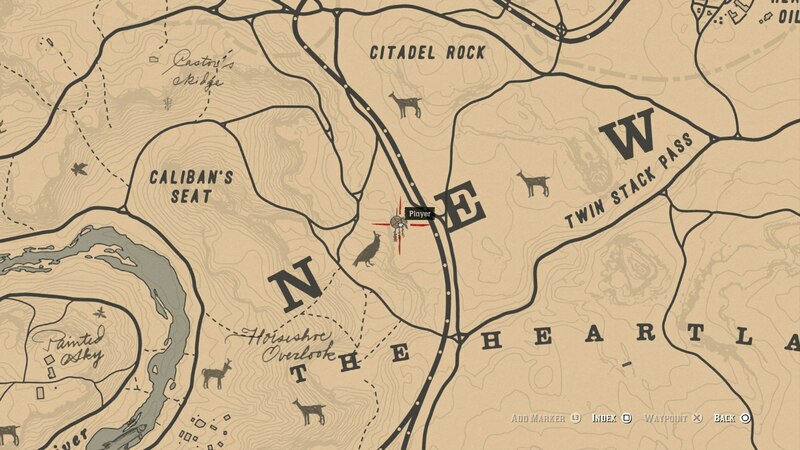 You can check out our Red Dead Redemption 2 rock carvings guide, or our Red Dead Online guide for help getting access to the online portion of the game.